ABUJA (Reuters) -- Nigeria's anti-corruption agency said today it was investigating the involvement of Nigerian officials in alleged bribes paid by luxury car and truck maker Daimler AG and a local vehicle assembly company. Daimler in April paid $185 million to settle allegations it had violated U.S. anti-bribery laws by showering foreign government officials with money and gifts to win contracts. Faridi Waziri, head of Nigeria's Economic and Financial Crimes Commission, said the agency had begun to probe $15 million of alleged bribes involving Daimler and Anammco, a Nigerian company that assembles Mercedes trucks and buses. "We opened investigations into the Daimler/Anammco scam recently following a judgment in the U.S. where some Nigerians were convicted in relation to the Daimler bribery scam," Waziri said in a statement. "So far, we have interviewed about four officials and representatives of Daimler and Anammco in Nigeria," she said, adding Nigeria's attorney general had been asked to obtain a full copy of the U.S. judgment from the U.S. authorities. Anammco was set up in the 1970s as a joint venture between Daimler, the Nigerian government and local investors. 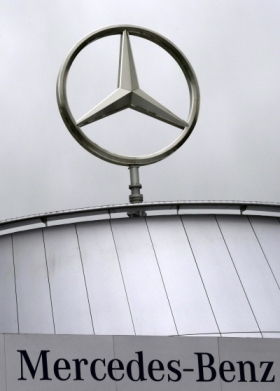 Daimler sold its stake in 2007 in line with its policy not to invest in companies that are partly government-owned, according to the Anammco website. Waziri said the Daimler probe showed Nigeria -- regularly ranked as one of the most corrupt countries in the world -- was serious about cracking cases "with international dimensions." The EFCC has also been investigating the involvement of prominent Nigerians in a corruption case involving Germany's Siemens, one of Germany's biggest corporate scandals.